Number of scholarships to be increased up to 200 from the current 111 students. On the basis of annual exam (March-2014) Scholarships could be considered for girls standing first in a class, one from each class in the school. We will consider the performance scores of existing scholars, we will look at the marks in March 2013 and March 2014 exams, along with a brief report from the Class Teacher. The Principal will test existing and new scholars periodically. 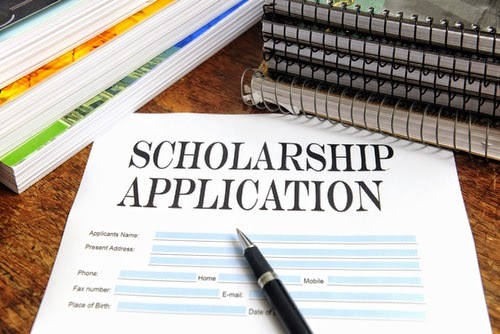 Printed Scholarship Application Forms are available in the school office. Cost of one form is Rs. 100.00, this new form for 2014-15 has to be filled for existing and new scholars please. 5. The Scholarship Form is the key to criteria for signing up for the programme. The LMC* (local management committee) consists of Parents, Staff, Community members and Teachers, this body is required to meet 5 or more times in a year and work to implement the development plans for the school. Under the Chairmanship of Brig K S Chouhan, the LMC as set up a Scholarships Subcommittee. Veena Solanki, was born and brought up in Neemuch, Madhya Pradesh. She is an alumnus of the Bhartiya Vidya Bhawan (a Bhawanite) from her school days and hence is well acquainted with the Bhartiya Bhawan's culture. Her professional qualifications include B. Sc.and B. Ed. from Regional Institute of Education (Under NCERT ), Bhopal. A Post Graduate in both English and Physics, loves teaching physics to high school students, simultaneously dispelling their physics phobia. With seven years of teaching experience, she has worked in Carmel Convent Sr. Sec. School, Bhopal and three other English Medium schools in the adjoining areas of Bali and is aware of the prevailing problems in these schools. Presently, working at Govt. School, Sewari near Bali and teaching English. * The LMC involves the larger community and invite / nominate members to convene groups and subcommittees to further the growth and development of the school. Such members for the sub committees could be professionals and volunteers from anywhere in the world and who have the interest and proficiency to take ahead the agenda. Please submit your data on the printed form provided by the School Office only. The Online Form (beta) is currently only for Office Use. In The Scorching Summer Heat!